With over 500 songs to his credit, 126 albums and almost one hundred million record sales worldwide, Paul Anka is one of the most successful singer songwriters in history. But despite all his achievements, the 77-year-old Canadian icon shows no sign of slowing down. Currently on tour across North America, he says that curiosity is what keeps him going and music is still his passion. In 1957, the Ottawa native was just 16 when Diana, the song he wrote about a crush he had on an older teenager, shot to number one and made him an international superstar. Anka credits the longevity of his career to his success as a songwriter. Some of his most memorable tunes include: "Puppy Love," "Put Your Head On My Shoulder," and the theme from "The Tonight Show Starring Johnny Carson." He's also written dozens of songs for artists including: Tom Jones, Michael Jackson and most recently, Drake. But perhaps his most iconic song is "My Way" for Frank Sinatra. “I just started writing these words as if he were writing it. You just don’t say 'ate it up and spit it out', but you know it’s the way he spoke. So I wrote it. I finished it five hours later,” he told W5. Anka also helped Canadian celebrities get there start. In the early seventies he lent a hand to get David Foster his green card so he could work in the U.S. He also gave Michael Bublé almost half a million dollars to produce the album that launched his career. But Bublé tells Thomson that what he treasures most about his relationship with Anka has nothing to do with the music industry. 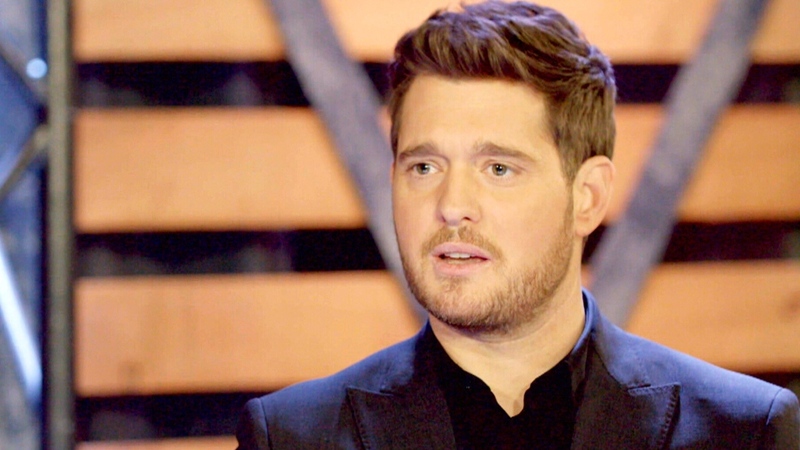 "He came to this little party and he sang 'My Way' for my grandpa, and he rewrote the lyrics for my grandpa," Buble said. "And I think sometimes people’s actions speak a lot louder than their words." Anka and Lisa are raising his 13-year-old son, Ethan. Anka also has five grown daughters from a previous relationship and nine grandchildren. Michael Buble shares his thoughts with Beverly Thomson on the legendary career of Paul Anka and how it has influenced him (W5).